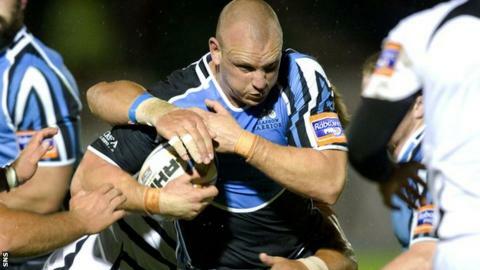 Glasgow forward and former All Black Angus MacDonald has been forced to retire because of a neck injury. The 32-year-old has been limited to four appearances, three off the bench, since joining Warriors last summer. "It's a decision every pro athlete has to make at some point and it's one that has come a little earlier than I would have liked," said MacDonald. "It would have been nice to have played for a few more years but the injury is affecting me day-to-day." MacDonald, whose two New Zealand appearances came during a UK tour in 2005, added: "I've taken the decision that will give me the best chance of a full recovery. "I'm gutted that I've not been able to pull on the jersey more often for the Warriors but I'd like to thank for the club and Scottish Rugby for the opportunity to play here. "I've played for some great teams and met some great people and had good fun along the way so there are moments that I'll treasure."